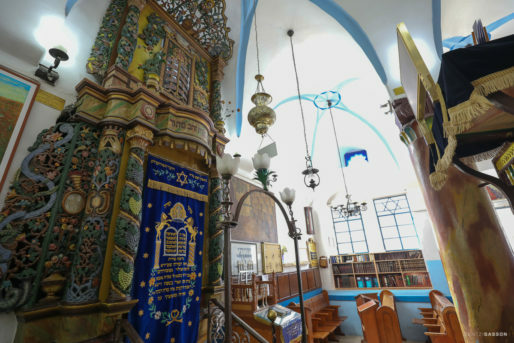 The Ashkenazi Ari Synagogue, located in Safed, Israel, was built in memory of Rabbi Isaac Luria (1534 – 1572), who was known by the Hebrew acronym “the ARI”. 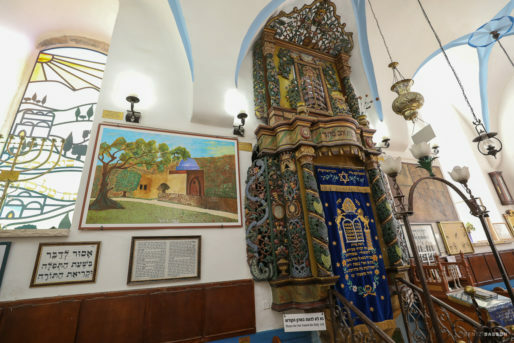 It dates from the late 16th-century, it being constructed several years after the death of Luria, a great kabbalist who arrived in Safed in 1570. 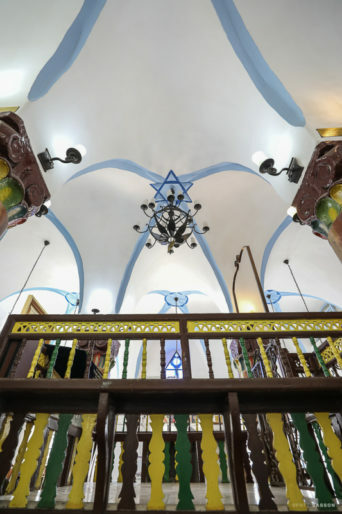 The synagogue is known for its colorful and ornate Holy Ark. 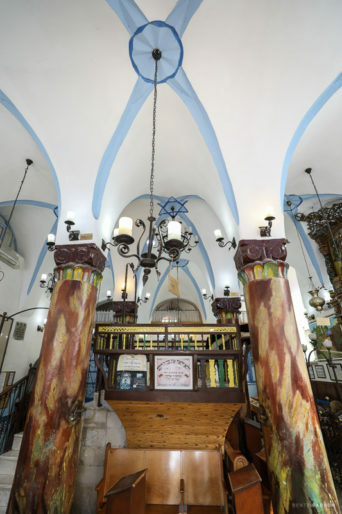 It may be the oldest synagogue in Israel that is still in use. 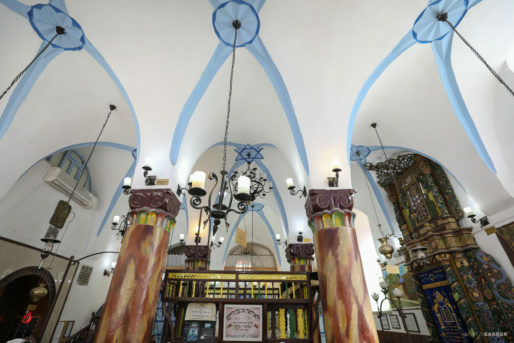 The synagogue was destroyed in the Galilee earthquake of 1837 and was rebuilt 20 years later. 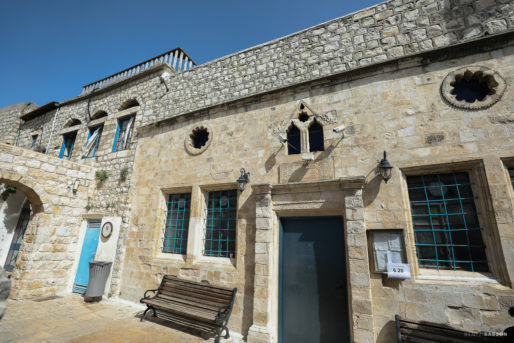 During the 1948 Arab-Israeli War a bomb is said to have fallen in the outside courtyard. 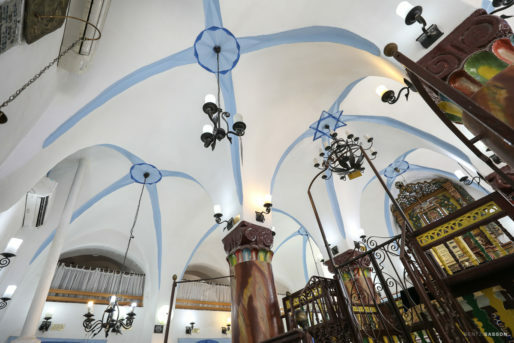 Shrapnel flew into the synagogue while it was packed with people seeking shelter, yet miraculously no one was hurt. 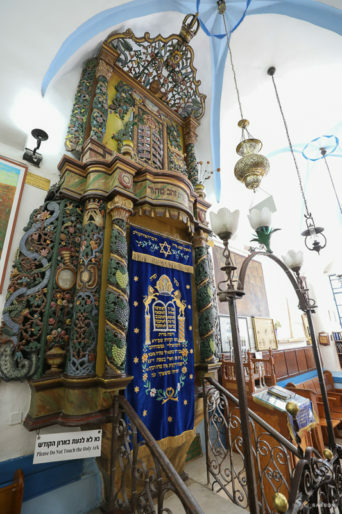 The Holy Ark was carved from olive wood by a craftsman from Galicia, in the style of the synagogues of Eastern Europe. 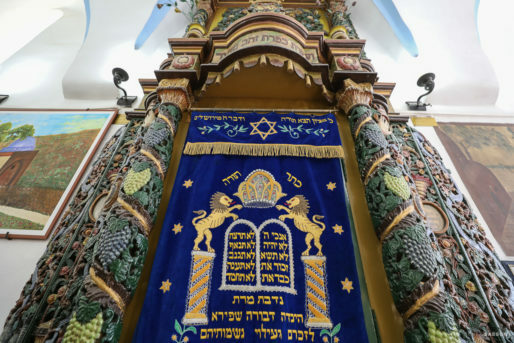 It includes an anthropomorphic image of a lion, alluding to Rabbi Luria’s acronym Ari, which means lion. PREVIOUS POST Previous post: Check Out The Biggest Seder in the World! NEXT POST Next post: ¡Echa un vistazo al Seder más grande del mundo!